We believe in putting God first and our time here on earth is about caring for people. We are committed to being an honest company, a trustworthy guide, and providing excellent customer service! Doing the job right and taking time to listen so we understand our client’s needs is our ultimate goal. We create an environment of appreciation and work excellence, encouraging employees to be their best selves which then allows them to assist clients in the best way possible. We are determined to create an environment of open communication and caring. We strive to make our customers feel comfortable as they put their trust in us when embarking on the loan process. If you are looking to purchase a home, we have several home loan options available for you. If you require a low-down payment or 100% financing Trinity Mortgage can meet your needs. Put your trust in us and we promise we will not let you down. Take the first step towards homeownership and get started today! We pride ourselves on having some of the lowest rates available in the marketplace. Also, we believe in passing the savings on to the client and treating them like they are family. 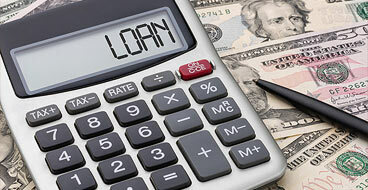 Let us show you how we can reduce your monthly payments and save you thousands over the life of the loan. Get your FREE quote today!